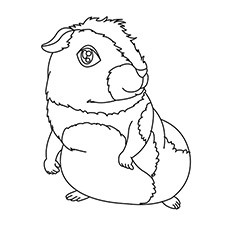 Here is our collection of 25 free coloring pages of animals to print for kids of all ages. 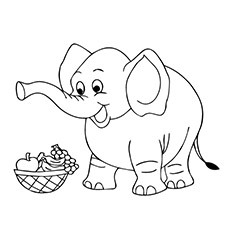 You simply need to download these cute animals coloring pages and give them to your darling, with a box of colors! The dog, man’s best friend, is among the easily recognizable animals. It is the most common pet. 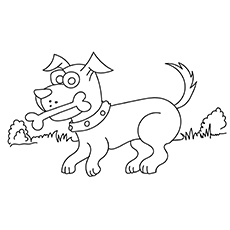 While your child will enjoy coloring the dog, he will also learn that dogs are different breeds of dogs. You can also make your son aware about a dog’s loyalty. Cats, when compared to dogs are not as common. With their soft paws and cute eyes, they are certainly mysterious and charming. Little ones love to chase a cat and enjoy watching them play. 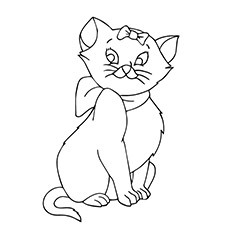 This coloring sheet is a simple drawing of a common cat. 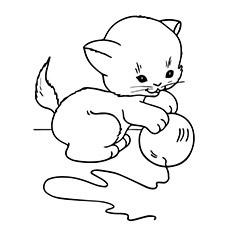 Kids above two years of age can try coloring the cat sheet. Guinea pigs are furry and cute little beings. Some parents also have them as pets and kids simply adore them. The coloring illustrations are simple and easy, making them look timid. Kids, who are two years and above, can colour these illustrations without much hassle. Pigs are not the most loved animals and are hardly found in modern societies and home spaces. Kids, however, love pigs for their cute little snout and the twisted twirl of their tail. Kids love to colour the pig for the bright pink colour and easy to fill in body space. If your kid has just begun going to kindergarten, he will enjoy coloring the pig. It is also an easy way to teach him how to use colour pencils. Parrot is one of the most common birds found across the globe. It is also one of the most common house pets. Children love a parrot for its colourful feathers, bright coloured beak and its tendency to mimic humans. 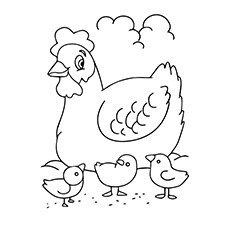 The bright green body and the red beak will motivate your child to colour the bird. 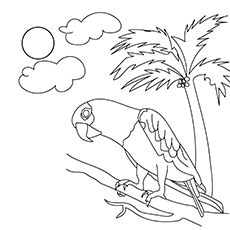 While your little one is coloring the parrot drawn on the sheet, you can tell him about love parrots. Love parrots are known to dwell in each other’s company. If you want your kid to know where the eggs for daily consumption come from, here is a creative way of doing it. Upon completion kids would definitely differentiate between a hen and other birds. Kids of age one-and-a-half years and above can colour this sheet. The children would be very excited to colour a calf. 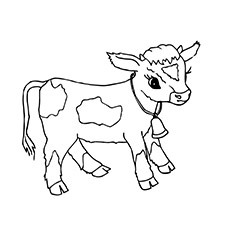 This sheet has a cute drawing of the calf. Give this drawing to kids who are two-and-a-half years and above. While your child colors the calf, you can educate him on some interesting facts such as in countries like India, cows are worshiped. Goats are not the most common animals that kids get to see in the 21st century. 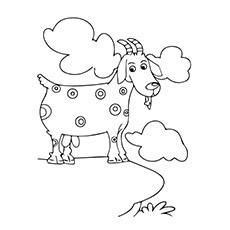 Giving your child an illustration of the goat to colour is an easy way to teach him about goats. You could educate him by telling him that more than 50 % of the world’s population consume goat milk. Since the goat is an animal with extended ears, horns and thin legs, kids of three and above should be able to color it with ease. The sheep is a fluffy and furry animal that kids instantly fall in love with. 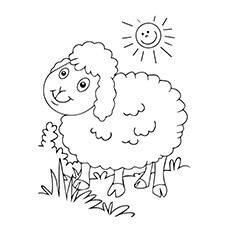 Coloring a sheep is an easy and engaging task thanks to the cute illustration of the sheep. While your child is busy coloring the sheet, you can fill him in on facts like we get wool from the sheep. Every child knows that lion is the king of the jungle. They learn it through kindergarten classes and cartoon movies. 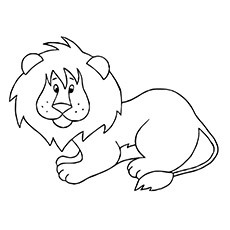 Your child will love to colour the illustration of a lion. If your child has watched the movie ‘The Lion King’, he would absolutely love coloring the sheets. This sheet is for kids of all age groups. Penguins are perhaps every child’s favourite character thanks to the ‘Madagascar’ series of animation movies. 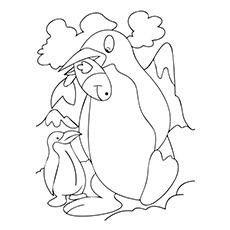 If your child can recognize a penguin, he would love to colour this illustration. Before you put your little one on the task of coloring the penguin, tell him that penguin is the only animal that lives in Antarctica. Also, tell him that penguins care deeply for its loved ones. Not the most charming animal for your child to see. In fact, kids do get scared on seeing snakes. 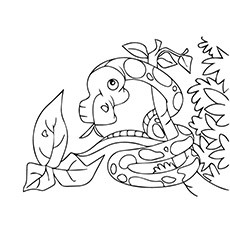 Coloring a snake could be an exercise that will allow you to help your cute one understand that not all snakes are harmful. Also, tell him that it is not a good idea to kill snakes. Making them colour this sheet will help them get over the fear of snakes. The story of the hare and the tortoise is a popular one that most kids have heard. The moment you give this sheet to your child he would definitely recall the story and it’s moral. This is the perfect time to educate your child that a tortoise is one of the longest living animals. Also, the tortoise is a slow-paced animal. The sheet is ideal for children above 3 years. Fox is a small looking animal. It is known for its clever and cunning nature. Children usually do not see a fox on TV as it is not a part of many cartoons. Also, there are not too many stories on foxes. 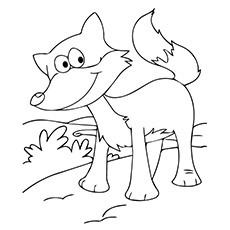 Giving them a fox coloring sheet is a good way to teach your child about foxes. The sheet is ideal for kids above 4. Crocodiles are not safe to be around with. They don’t look appealing either. 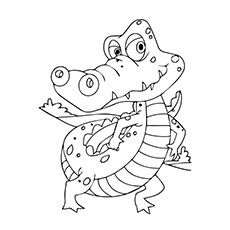 But since all children love the story of The Money and The Crocodile, your tiny-tot will love coloring this sheet. Colourful fish piques the interest of just about any child. 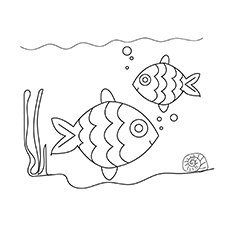 Even young toddlers older than three years are fascinated by aquatic life and will love to colour fish. Kids can choose from a plethora of colors to adorn the bodily designs of the fish. Print a number of fish, in different sizes and shapes, for this is a great way to whet a child’s imagination skills and ensure that your child is completely encapsulated. Cats and especially kittens have always been a big time favourite among children of all ages. The adorable kid of the cat is sure to attract the attention of just about any kid. This particular picture shows a kitten wearing a hat. The hat has a design of flowers which will allow for your child to colour them vividly. Butterflies can be coloured in vibrant and bright colors. This pretty insect has always been one creature that has both amazed and fascinated children. Open up your child’s imagination as he delves into the many designs on its wings, splashing them with colors that appeals to them most. You can also introduce shapes and new colors. The giant size of elephants and the magic of their tusks and trunk have always fascinated children. 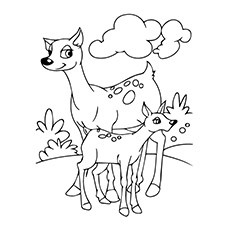 Introduce this wild yet docile animal of the woods to your children through colouring. 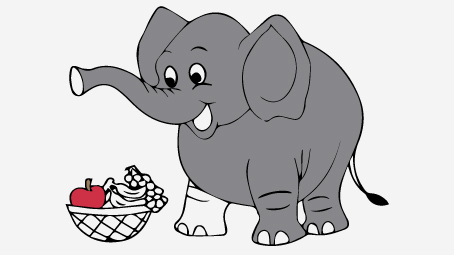 You can also teach them fun facts about elephants like what they eat, how they move in groups etc. This picture by itself is simple and childlike, which is sure to pique the interest of children as young as two years old. Yet another docile animal, the giraffe with its long neck leaves any child fascinated. This image is fairly uncomplicated and is appropriate for ages above two years. 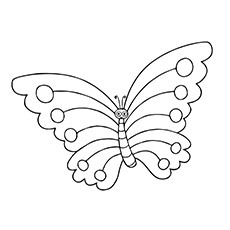 Easy to colour, this image is sure to help improve motor skills in young kids. No fairy tale ends without the mention of a horse. And there is no one kid who does not like the horse. This picture is comparatively more mature, and thus should be right for kids aged above four years old. 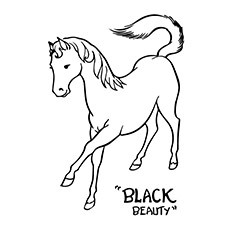 The agility and swiftness of the animal can be easily interpreted by this simple yet elegant picture of the horse. Though on the brink of extinction, the tiger has been depicted royal manner that leaves any child awe-stricken! This picture is apt for children above the age of four years since there are intricate stripes on the body which make it slightly difficult for toddlers to deal with. 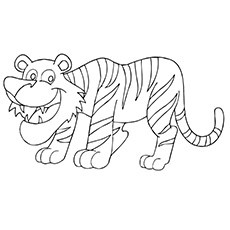 As your child is engrossed in colouring, also introduce them to facts about the tiger and its life in the jungle. What better way to introduce colouring, than with the picture of a rabbit. One of the very first tales told to a child is the story of the rabbit and the tortoise, and your child is sure to relate to the animal in a jiffy. The picture is comparatively simple and does not require an expert hand at it. It may be apt for children above the age of two years. The flowers on the head make the picture look really adorable and also provide an option for children to go wild with imagination. One of the most beautiful creatures in the wild, the deer will captivate the attention of kids both young and old. It is imperative that your child has a good foundational knowledge about animals such as the deer. The picture is rather cute and is just right for children above the age of two years. This picture shows a baby cheetah. 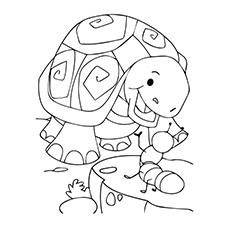 This is one of the cutest baby animals coloring pages. The picture is moderately simple and hence is perfect for children who are above the age of three years. 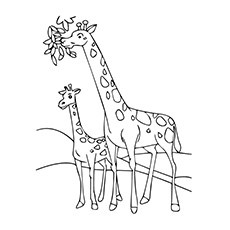 The picture also ensures that your child learns further about the animal through his or her attempt at coloring it. 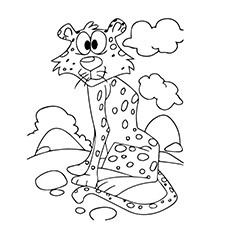 Many children fail to catch a glimpse of the cheetah at the zoo, which is why this picture should be all the more important for them to ensure that they do garner interest in the creature, and as already mentioned, coloring the images are one of the best ways. Coloring is definitely one of the most favorite of all the other pastimes which a child would like to be involved in. 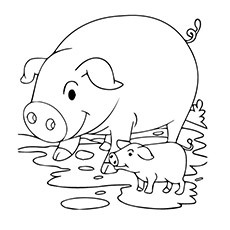 So, what are you waiting for print these free printable coloring pages of animals, and let your kids have a blast! It has been proven that kids retain more when they see graphics and illustrations. Each animal is a source of some or the other thing for humans and coloring is a good way to teach the kids. 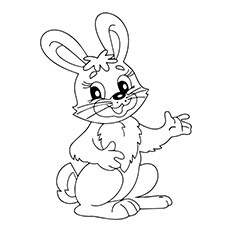 Hope your kid will loved and enjoyed coloring these printable coloring pages for toddlers. Till then, happy coloring!